Instagram Co-Founders To Step Down Kevin Systrom and Mike Krieger resigned from the popular photo-sharing app company Tuesday, saying they plan to leave in the coming weeks to pursue other projects. 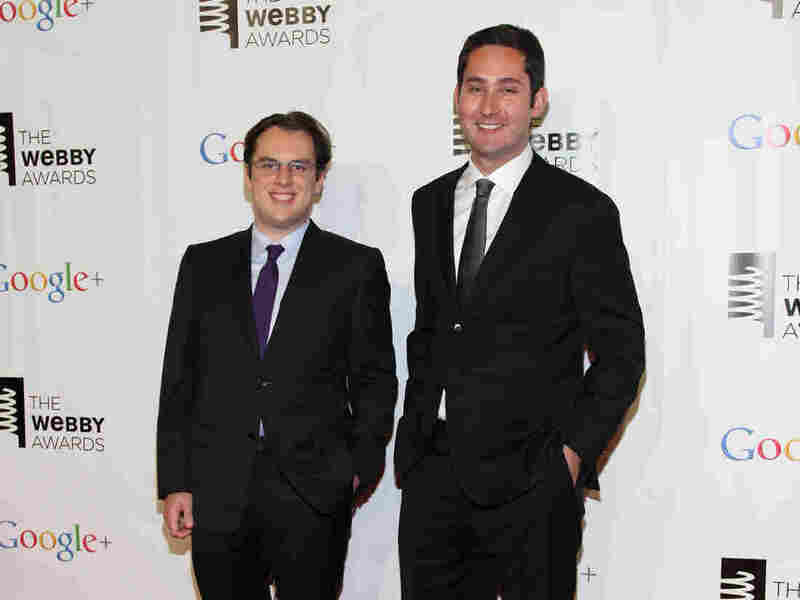 Mike Krieger (left) and Kevin Systrom, co-founders of Instragram, attend the Webby Awards in 2012 in New York. The New York Times notes that the departures call into question Instagram's future during an already rocky time for parent company Facebook, which bought the company in 2012. Facebook has come under fire from critics over a number of issues in recent months, including handling user data with perceived carelessness, not preventing foreign interference, and according to the American Civil Liberties Union, allowing employers to discriminate by excluding women and older men from targeted ads on the social media site. Systrom and Krieger launched Instagram in 2010 out of a small office in the South Park neighborhood of San Francisco, according to the Times and Facebook bought it for $1 billion just two years later. Facebook CEO Mark Zuckerberg responded to news of the departure of Systrom and Krieger in a statement, saying, "I've learned a lot working with them for the past six years and have really enjoyed it. I wish them all the best and I'm looking forward to seeing what they build next."